Bandwagon? Jumping? Well, I can't really deny that, but nonetheless I thought my improvised take on this sickly-sweet recipe was worth sharing; if you happen to have a dozen spare Creme eggs or a horrendously sweet tooth, this will be right up your street! 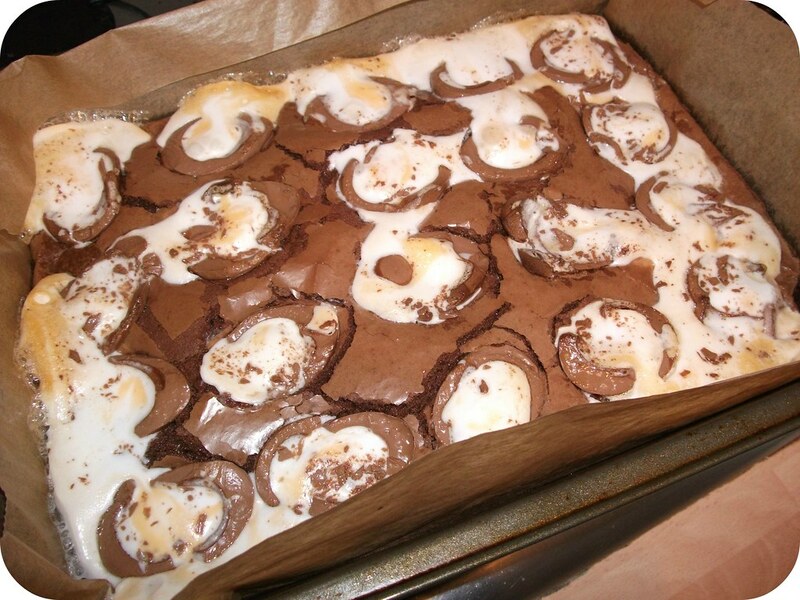 Start by popping ten Creme eggs in the fridge, and pre-heat your oven to 180°C. Beat three medium eggs with 320g Caster sugar until white and creamy; I used an electric mixer but you could probably make do with a whisk and a lot of elbow grease! Melt 200g Dark chocolate with 175g Butter (blast in the microwave for thirty seconds at a time, or pop in a bowl over a pan of boiled water), then pour into the egg and sugar mixture and combine to form a thick, chocolatey mousse-like consistency. Add 110g Plain flour and mix until just combined. Pour the mixture into a 12" x 8" tin lined with baking paper, and pop in the oven for twenty minutes. This is where it gets messy! Remove your Creme eggs from the fridge, unwrap, and slice each one in half lengthwise; as you can see, mine tended to collapse, but that's okay. Pop them back in the fridge until your brownies have had 20 minutes in the oven. 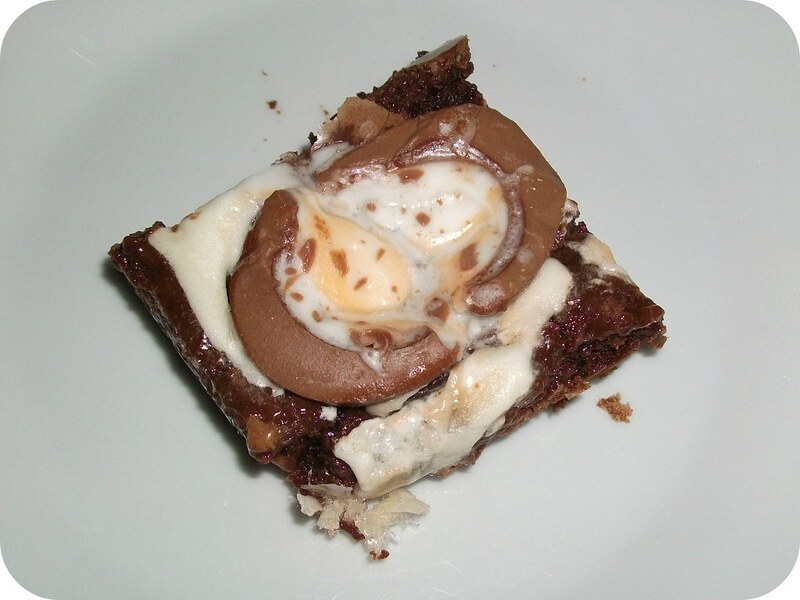 Remove the tray from the oven and press the Creme egg halves into the brownie, remembering that the tin will be hot! Return to the oven for an additional 15 minutes. Allow to cool in the tin before slicing into squares. 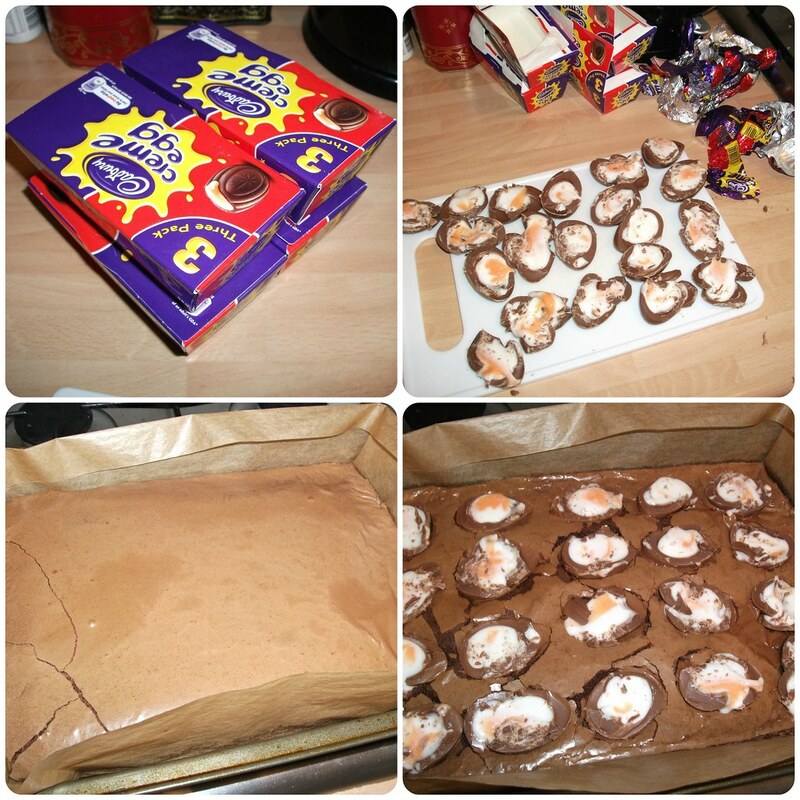 As you can see, my Creme eggs kind of melted a bit all over the place, but that's okay - these are never going to be neat, and I can assure they still tasted amazing! 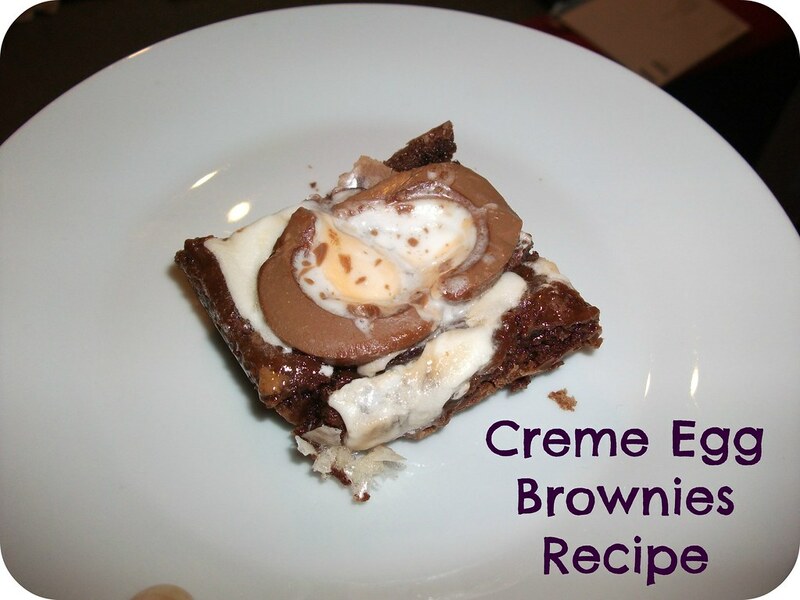 Have you tried baking with Creme eggs? What recipe would you like to try them in? Or would you find the whole thing too sickly? Mmmmm these look incredible! My sister in law made them last year so I might have to have a crack at it this year! Ohhhh these look so delicious! There is no way that I'm missing out on trying the recipe. Thanks for sharing Jess, hope all is well? i bet they taste amazing! Oh good they look delicious! Oh dear Lord! I can feel my fillings melting just reading this! LOL! !